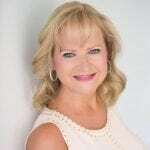 Want to connect with CEO Kristina Bouweiri? 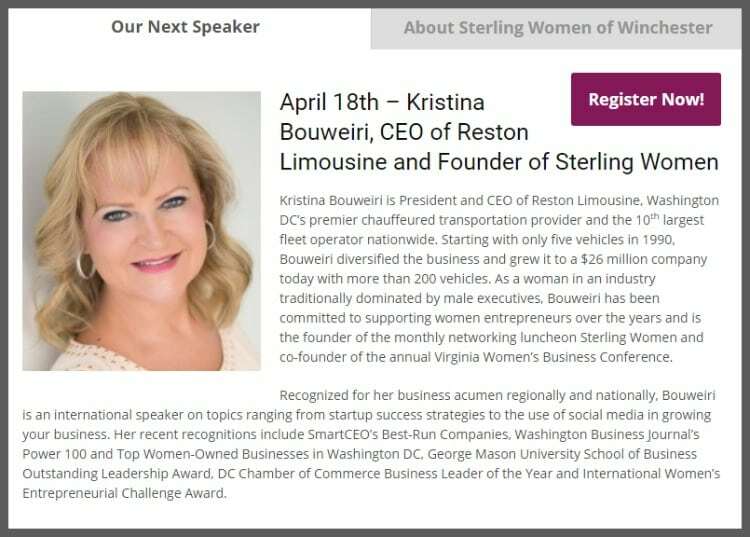 It’s difficult since her schedule is more tightly packed than a can of sardines, but you have the chance to do so on Tuesday April 18 when she appears as the guest speaker at Sterling Women Winchester in the morning and then later in the afternoon on a business panel at Bisnow Loudoun. The monthly luncheon is an offshoot of the program founded by Kristina in 2008 to provide a new networking opportunity for businesswomen in the Sterling area. The quality of speakers and the interest from sponsors boosted the popularity of the program, which expanded to Winchester in 2014. The event takes place at The George Washington hotel at 11 a.m. with networking followed by lunch and Kristina’s presentation, and ending with more networking. Early bird registration of $25 ends on April 12, after which tickets will be $35. A limited number of tickets will be available at the door for $45. To register now for the event, please click here. For more information about the original Sterling Women, please click here. Another panel follows that will focus on a case study of the Gramercy District, a $500+ million development slated to be built at Ashburn Station off the Dulles Greenway. Rounding out the program will be a panel of major developers and executives who will discuss the projects shaping the future of Loudoun County. For more details about the event and to register, please click here.